Since 1969, members of Guterman Partners have been Owners and Operators of multi-family residential high-rise buildings and garden communities, multi-tenant office properties as well as full-service and luxury hotels, throughout the United States. Members of Guterman Partners have worked together for over forty years as real estate investors, owners and operators, beginning in 1969 and continuing successfully through today. 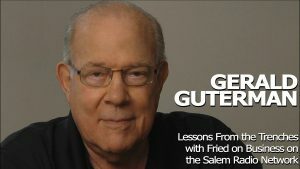 Gerald Guterman’s interview with Fried on Business on the Salem Radio Network. Click here to listen to the interview and download the e-book. Guterman Partners founder, Gerald Guterman interviewed by Bloomberg’s Betty Lou in regards to the acquisition and conversion of New York’s Stuyvesant Town and Peter Cooper Village.